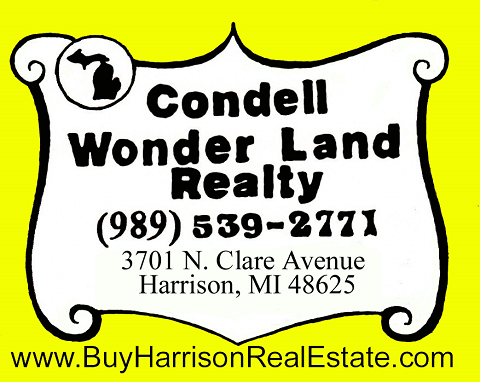 3 Lots in the City of Harrison located between Budd Lake and Little Long Lake on a blacktop road with city sewer and Nat. gas available. Lots front on Lansing, Grant and on Saginaw Streets. Great Location near Lakes, seller would consider land contract terms. T19N, R4W, Sec. 21 Lots 1, 2, & 44 Blk 1 Harrison Heights 1st Add. City of Harrison, Clare Co. MI.